Inscription: Annotated in graphite on reverse of old mount, Marco Benefial Autoritratto /Roma- 1684-1764. The Metropolitan Museum of Art. 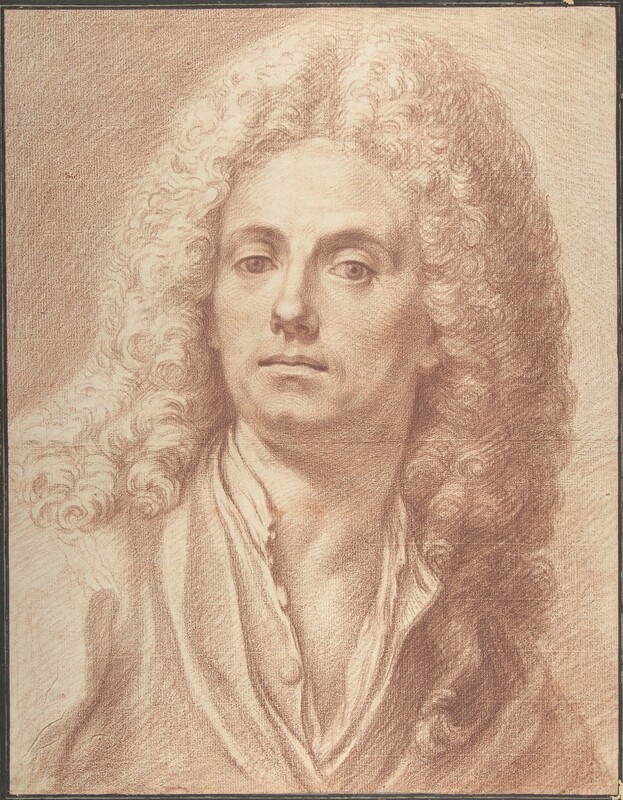 "Artists in Rome in the 18th Century: Drawings and Prints," February 28, 1978–May 7, 1978. Jacob Bean Artists in Rome in the 18th Century: Drawings and Prints Exh. cat., The Metropolitan Museum of Art, New York (February 7 - May 7, 1978). New York, 1978. Jacob Bean, Lawrence Turčić 17th century Italian Drawings in The Metropolitan Museum of Art. The Metropolitan Museum of Art, New York, 1979, cat. no. 268, fig. no. 268, p. 201, ill.
Adelheid M. Gealt Italian Portrait Drawings, 1400-1800 from North American Collections Exh. cat., Bloomington, Indiana, Indiana University Art Museum; Pittsburgh, Pennsylvannia, Gallery of Art, University of Pittsburgh; Oberlin, Ohio, Allen Memorial Art Museum, Oberlin College. Pittsburgh, Pennsylvania, 1983-1984, cat. no. 36, fig. no. 36, ill.